All work inquiries welcome, please don’t hesitate to call. Home and Business owners are usually unaware on the fire risks and hazards around their home. 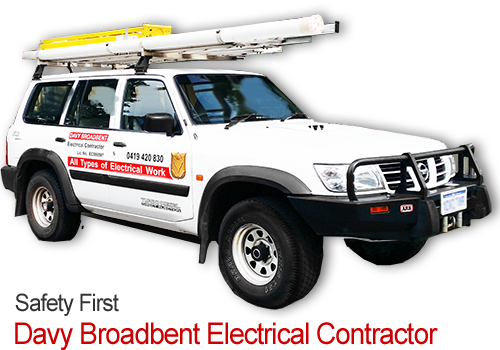 Davy Broadbent qualified electrical Contractor can advise you by inspecting your home or office electrical faults or potential electrical risks and hazards. Davy will advise you of the items that could be a concern and need attention. 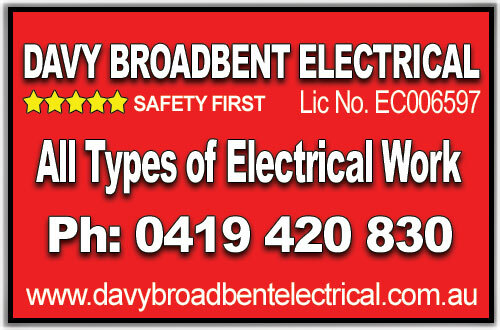 Call Davy Broadbent Electrical Contractor if you have any concerns on your home or office electrical wiring. Or send me an email, I will respond to your message as soon as possible. Always Remember I put you and your family’s Safety First …..